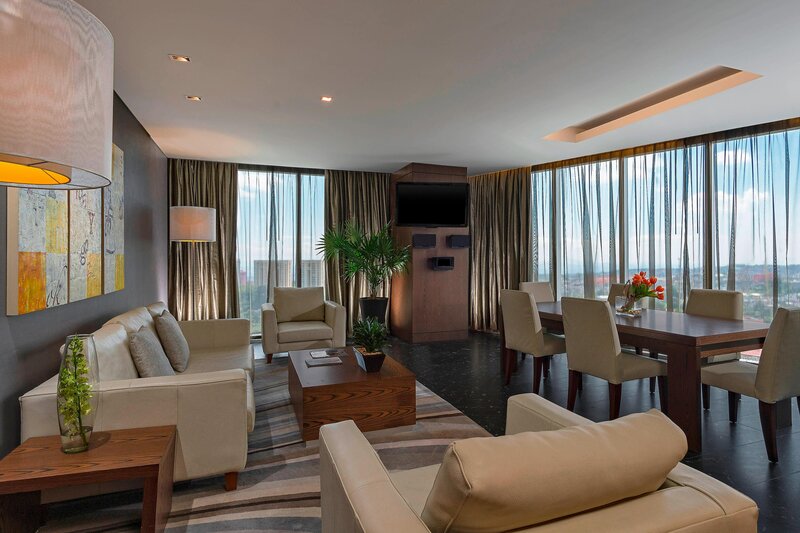 The Westin Santa Fe, Mexico City is a modern retreat located in the trendy Santa Fe business district. Guests are just steps away from the Santa Fe Convention Center and Centro Santa Fe-one of the largest shopping malls in Latin America.Ideal for business events and social gatherings, the hotel offers more than 12,000 square feet of meeting space. Our WestinWORKOUT® Fitness Studio, Heavenly Spa by Westin™ and Market Kitchen keep guests fit, refreshed and energized throughout their stay.Our 259 spacious guest rooms including suites will elevate your spirits the moment you arrive. Discover an incredible night&apos;s sleep on our signature Westin Heavenly® Bed, soothe your senses in the marble bath, and enjoy beautiful views of the city and valley. 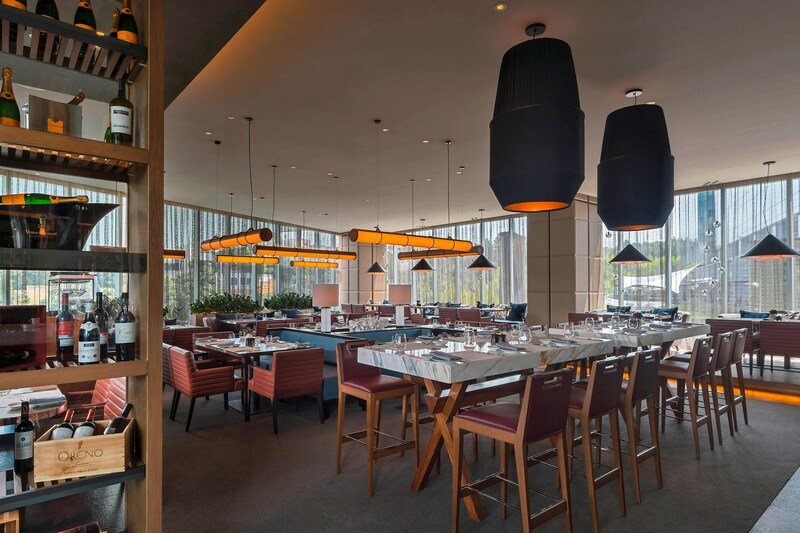 Created by renowned French Chef Jean-Georges Vongerichten, Market Kitchen embraces its farm-to-table concept by using local ingredients in innovative ways. 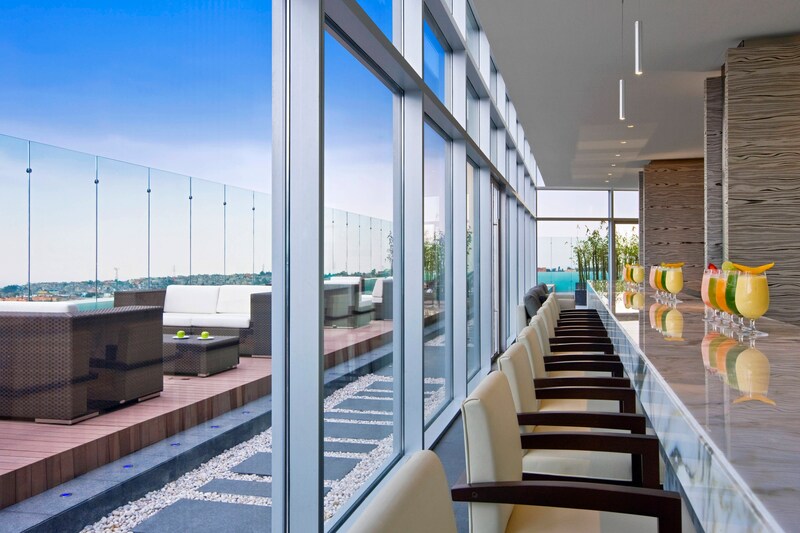 Choose from culinary ambiances rarely seen in Mexico, including an exclusive artisan cheese and charcuterie cellar, an espresso bar with a broad range of local coffees, and Eleven Bar & Lounge with the best panoramic views of Mexico City and the valley. 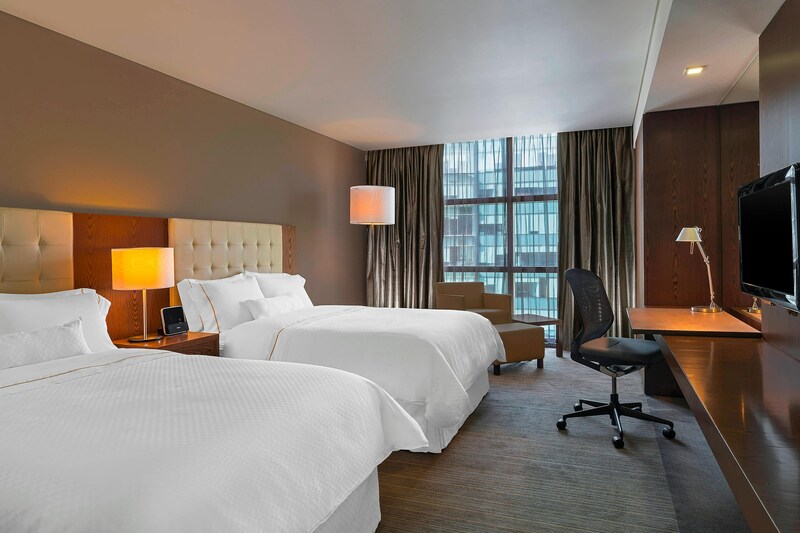 All rooms feature our signature Westin Heavenly® Bed with 10 layers of bedding and a generous collection of pillows. Our spa-like bathrooms are decorated in Greek Spider Gold marble and include plush towels, bathrobes, and slippers. Our peaceful Heavenly Spa features seven treatment rooms, where every touch, sound, and scent is carefully designed to revitalize your body and calm your mind. Staying productive, feeling relaxed, and enjoying quality time with the family is enhanced by nourishing, satisfying dining options. 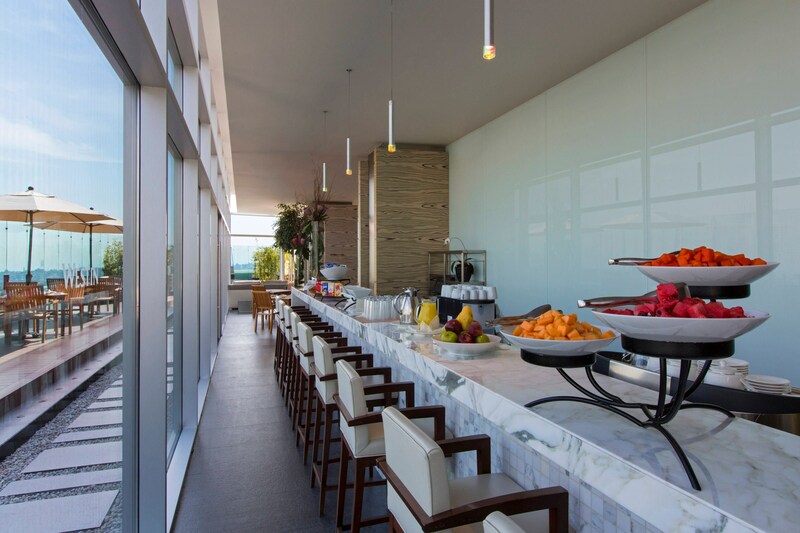 At The Westin Santa Fe, Mexico City, we offer something for every appetite with our Eat Well options that help maintain a healthy lifestyle while you&apos;re on the road with nutritious foods and energizing juices and smoothies that keep you feeling your best. Fuel your body with delicious dishes packed with nutrients and energy. Created together with doctors and nutritionists, our menu at The Westin Santa Fe Mexico City cultivates “food synergy,” the pairing of certain foods to increase their nutritional value, to give you the focused energy you need to meet the challenges of your day Nutrition can be fun and tasty! Eating well isn’t just for adults, that’s why Westin has teamed up with the experts at SuperChefs™ to cater the Westin Eat Well Menu for Kids. Comprised of doctors, dentists, chefs, dieticians and other experts, SuperChefs is dedicated to educating kids on the importance—and the fun—of eating smart. These healthy recipes are much more than just fruits and vegetables. Each of our special menu offerings is as delicious as it is nutritious, making kids and parents smile during their stay at the Westin Santa Fe, Mexico City. 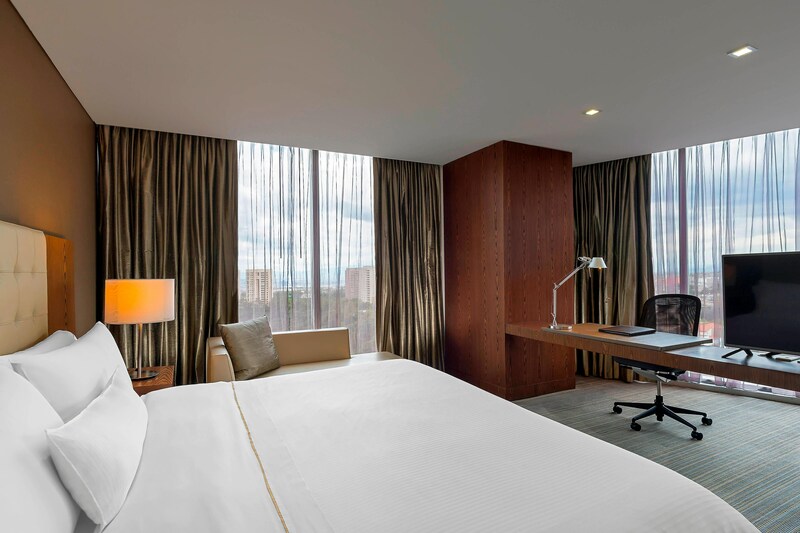 The Westin Santa Fe, Mexico City is located in the major business district of Santa Fe—one of Mexico City’s fastest growing neighborhoods and where modern high-rises stand in contrast to traditional Mexican architecture found elsewhere in the city. Our concierge staff will be happy to assist you to tailor a personalized experience, arrange transportation or get tickets to several thrilling tours.